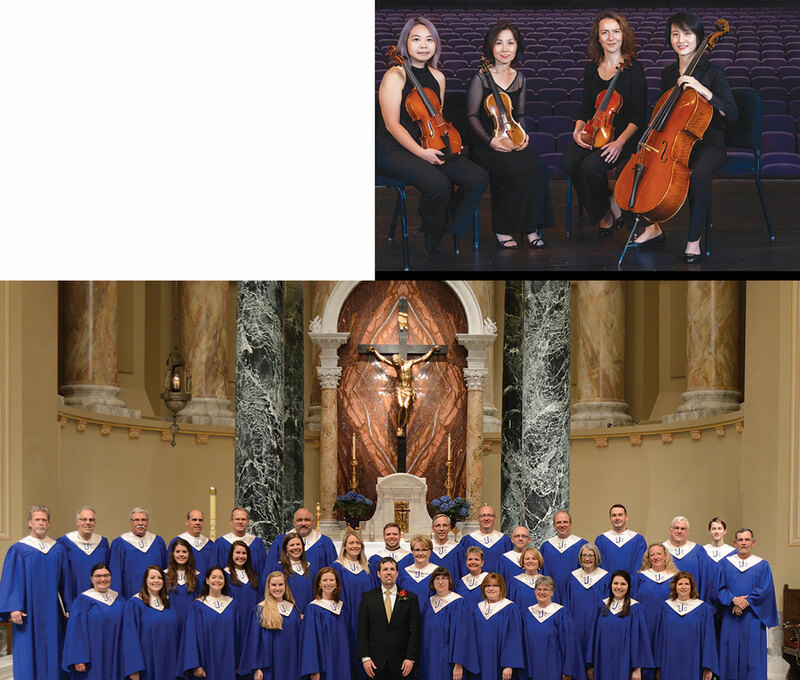 The months of April and May will bring a flurry of Sacred Arts Series performances at the Cathedral of Saint Joseph, Sioux Falls. On Thursday, Apr. 11 at 7:30 p.m.. the Dakota String Quartet will perform. The Dakota String Quartet, comprised of the principal string players from the South Dakota Symphony, will perform Haydn’s Seven Last Words of Christ. This piece is a perfect meditation to close the season of Lent, and lead into Holy Week. Tickets for the Dakota String Quartet are $10 or $5. On Thursday, May 2 at 7 p.m., the Cathedral Choirs, Dr. Jared Ostermann, director will perform as part of the Founders’ concert. This performance is free although a free will offering will be accepted. The Founders’ Concert each May commemorates the construction of the Cathedral of Saint Joseph, as well as the feast of Saint Joseph the Worker, patron of the Cathedral. This year the Cathedral Choirs join in a concert marking the 100th Anniversary of the Cathedral of Saint Joseph. You can find out more about the Sacred Arts Series on line at http://www.stjosephcathedral.net/sas/.